ScribblesAndShots: Lizabettas... I'm in love! Once again, I was procrastinating on Etsy today. I wasn't finding anything too too great and was getting a little bored.. Actually, so bored I was about to get back to the work I had put down to procrastinate in the first place. This is when my eyes fell upon a pin-up beauty! 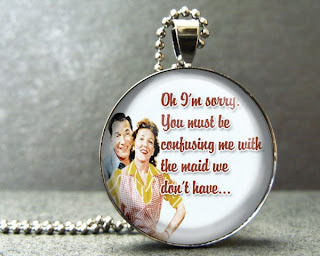 ( I loooove vintage pin ups ) More awesome than just a pin up picture, it was a pin up picture on a pendant. This is how I discovered Lizabettas. 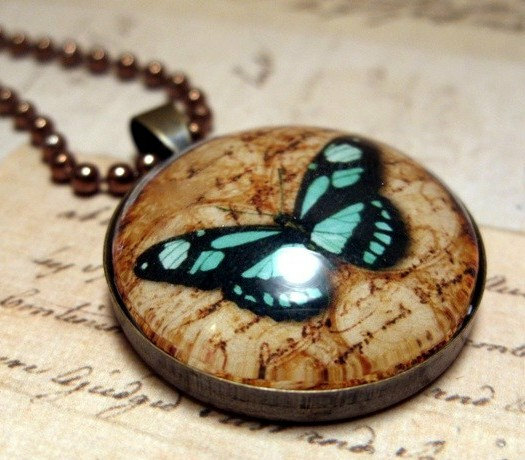 This store is filled with beautiful picture pendants, all at reasonable prices. If you're a fan of jewelry and pendants (which I am), this store is like a little haven. The banner is lovely, there is free shipping for the summer, you may choose your own pendant color (silver, copper, bronze, ect) and every pendant is lovelier than the next. I really want every single one of them. With already 21 sales, they are sure to grow and grow! Be sure to check this store out!! Here's one of my favorite Lizabettas piece!! I love the pin up one! Me too! It's sooo nice. I love the butterfly one too... great find!